Know anyone that’s pregnant? 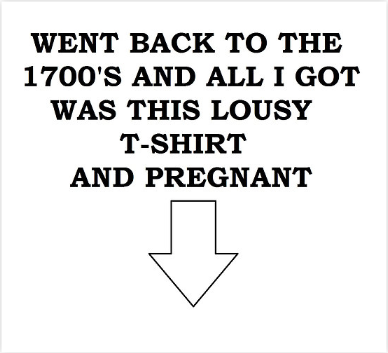 I love this T-Shirt, lol. 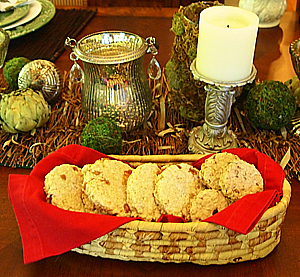 Made from scratch with their own signature recipe of vegetable oil and butters, these “Outlandish gift sets” are sure to be a hit with all Outlander fans. These stylish “Lady Lallybroch” tees & tanks by rootsrocks on etsy.com are ready for holiday shipping, and go nicely with their Outlander-inspired stone necklaces, ken? 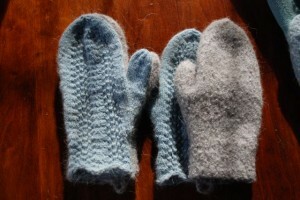 Knit Play Love on Etsy has over 98(!) authentic & original Outlander knits and patterns, accurate to what is worn on the show—there’s something for everyone! Freaklikemee on Etsy has a couple of orginal handmade items, verra reasonably priced and ships worldwide from Dublin, Ireland! 3 inch diameter Outlander Inspired ornament. Silver Dragonfly charm. 4 inch diameter Outlander Inspired ornament. Silver C, heart, J initials. OMG! Sara from Liber destella is “all about fantasy and magic in books and creates jewelry and candles inspired by her favorite tomes.” Seriously, check out the mugs—I need at least three of them! ‘Lynleigh Mead Photography’ has some beautiful Scottish and Outlander-related prints available, check out her etsy shop lynleighmeadphotos. Thank you Michelle- I’ll be sure to add it (And I love your stuff)! Thank you so much for including my soaps in your gift list. And a wonderful list it is! I know I would be very happy to receive any of these items. You’re welcome Tara- I’ve admired the soaps since the Outlander Kitchen contest! Thank you so much. 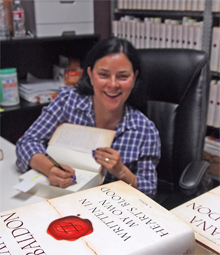 All the Outlander info, links, merchandise, awesome, thanks! looking for a stag broach,any help? When my dh and I were in Kenmare,Ireland a few years ago— and I “made contact” with a stading stone circle– — and it made contact with me right back…I screamed at him “Stay out of the circle– don’t touch the stones!! This is great! a list I can hand my kids! Merry Christmas and Happy Birthday to me! I’m wanting a cloak like the one Claire wears during winter in Scotland and I’m unsure of what exactly the cloak is called..
I’ve had one for years, a wool cloak, made in Scotland by Irene Marshall. I bought it at the Queen Mary Scots Festival in Longbeach, CA, from a vendor called The Welsh Touch — not sure if they are still around, though there is one listed in Sonoma, CA. You might also look for vintage items on eBay, etc — search for “Wool cloak” and see what comes up. A good, solid woolen cloak won’t come cheap (though it will be much cheaper than cashmere), but it will last forever with proper care — I use mine as my winter coat, and aside from the occasional dry cleaning, it serves very well. 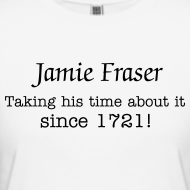 What a great collection of Outlander-inspired merchandise! We’ve been longtime fans of the series and were inspired to create 27 hand-dyed colorways inspired by the series over on our website! We have lots of related items, and could help you find many of the things you are all looking for. 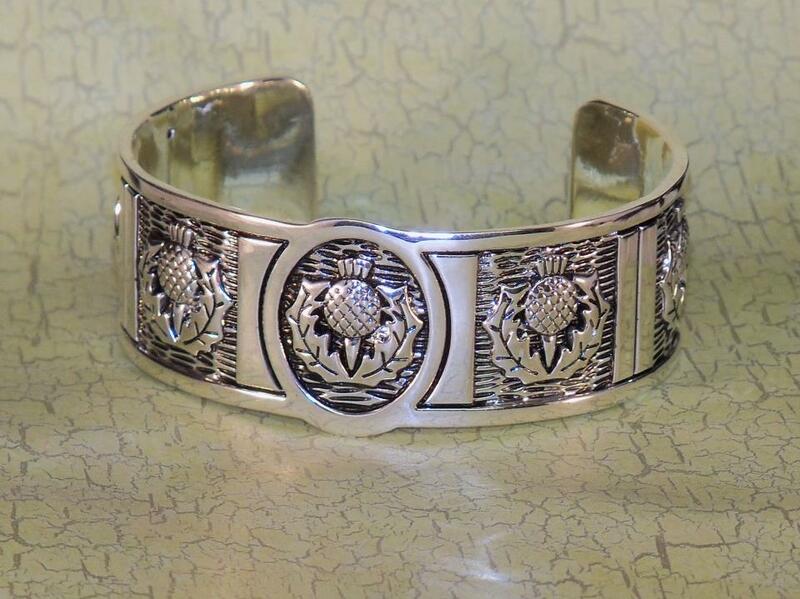 Thistle jewelry, brooches, kilts, cloaks, and much more! We also take phone orders. Hi!! I have a lot of Outlander themed items in my etsy shop! I would be so thankful to be included in your list!! The ones Claire wore were awesome! We sell claire’s arm warmers at http://www.abbyshot.com! Ok I’ll fix it- thank you! Love it! if you’re looking for another, here’s my offering: roots rocks “come through the stones” Outlander inspired jewels! Hoping these can be added to list: Fellow Sassynachs: Lady Lallybroch tees are LIVE: https://www.etsy.com/listing/205232439/preorder-lady-lallybroch-outlander-tee?ref=shop_home_active_1 & https://www.facebook.com/rootsrocks Hope you enjoy them as much as I do!! They go perfect with our Outlander inspired stone necklaces or a Claire cowl! could someone please tell me how we get the COPYRIGHTS to make Outlander themed Jewelry, etc????? Is there an Outlander baseball cap?? At one point, I saw a brooch replica for Jaime’s kilt. Has anyone seen that anywere? I am looking to buy my mother a replica necklace featured on Etsy called Rossana Outlander Style Cameo Choker. Is this piece available anywhere to buy? I’m confused- can you not just buy it on Etsy? Well…. I actually made a replica with hand embroidered bodice. I could make another one if you are still interested 😉 You can check out my website for some photos! 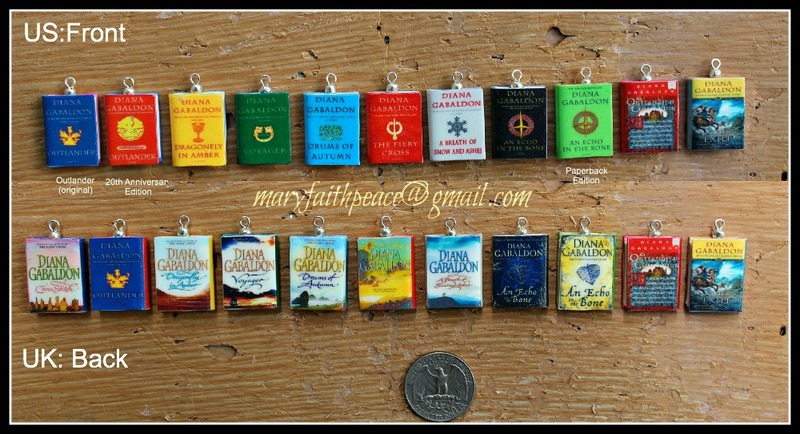 A great selection of handmade Outlander inspired brooches. Helps if you leave the info! Thanks. 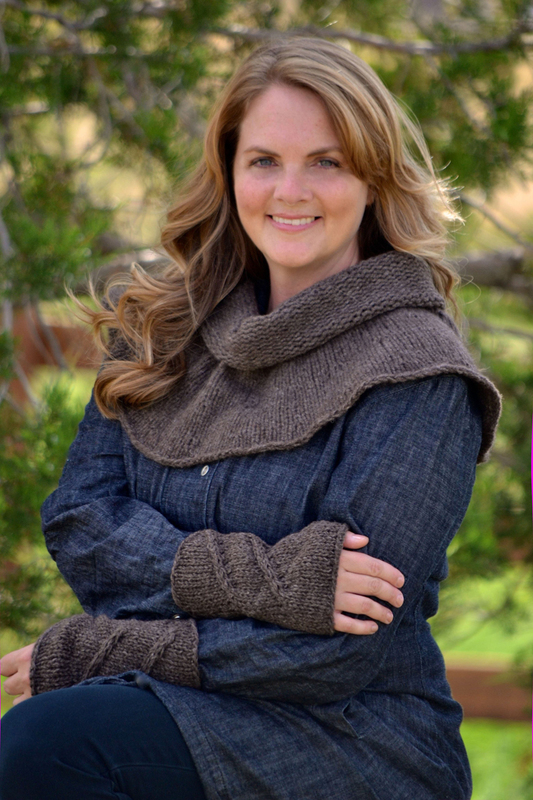 KnitPlayLove has the best Outlander hand knits around. Made with impressive attention to detail and a lot of love. Outlander inspired, hand-made kilt/shawl pins. Is there anywhere I can buy the Outlander Herb Box set? New to this site and unsure how it works. I collect old Scottish and celtic brooches similar style to ones seen on Outlander i frame them on tartan or Harris Tweed. As i live in the Highlands of Scotland i have some really beautiful fabrics and vintage brooches. I am just away to launch a new range where the brooches will be framed on the Fraser Tartan from Outlander. as seen in Outlander, but don’t seem able to find them. Were they only prop’s for the programme? Hello! I read your post and it great! I wanna ask you something, I’m from Spain and it’s so difficult (or impossible) to buy some outlander’s things. Do you know some page that sell outlander’s costumes or merchandising to Spain? Thank you for your time and consideration! If I may reply to you: have you looked on Etsy or have you tried reaching out to local costume makers? I am a seamstress from the Netherlands and I have reproduced the grey wedding dress and Jamie’s wedding clothing. If you are looking to have a clothing made I can do that for you (shipping to Spain is no problem). I’m so sorry- I thought I did reply to you! I spoke with my spanish Outlander friends, and they agreed— unfortunately, nothing is sold in Spain. They said to try amazon.com or the official Outlander store. Also, there are many sellers on Etsy that will ship worldwide. I love Outlander! I can’t wait for the droughtlander to be over! Stay literally on set in beautiful Culross in Fife, Scotland. Step out onto the location of the Jacobite Camp and meeting place! Culross is a beautiful 16th &17th century historic village in Fife. It has been the location for shooting many films and more recently a regular spot for Outlander. Stay in a stunning townhouse in the main square and delve into the fabulous history of this wonderful village. See us on Air BnB at “January House, Culross”. We look forward to welcoming you!